Good morning, welcome to day 6 of our JustRite Stampers CHA release! Today's set is called Starburst Medallion Labels, which comes with beautiful medallions, a fabulous border and sentiments. I know you will love this stamp set so much. My card today is a bright one. I used some pretty LilyBee papers for this. Doesn't this speak Spring for you? I also used our newly releasing Classic Scallop Borders One. I just love these gorgeous lace borders. Here is this gorgeous Starburst Medallions Labels set. And the beautiful Classic Borders One set. 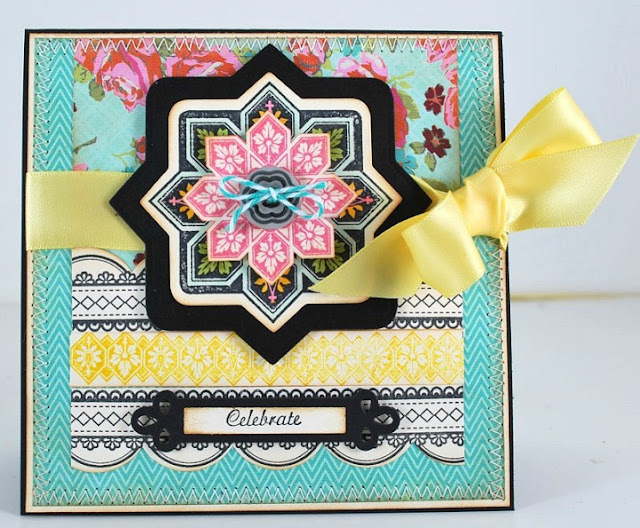 And of course the Starburst Medallion Labels set coordinates with the Spellbinders Nested Medallion Label Dies set.